Look at my Hair works great with Lux/Reality! I’ve never been able to find the time to study Lux/Reality in depth, but today I made a very quick render in Lux/Reality and I’m very pleased with the result. Here are two images, the first is the render as it came out of Lux/Reality, in the second image I added a bit of glow and color toning. 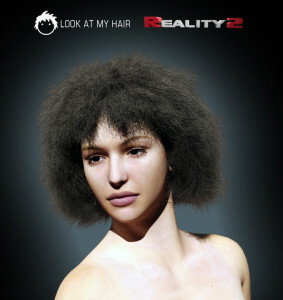 The style is the afro preset for Genesis available at www.furrythings.com/presets. In LAMH, I opened the material setup and set hair root/tip widths at 40/20. 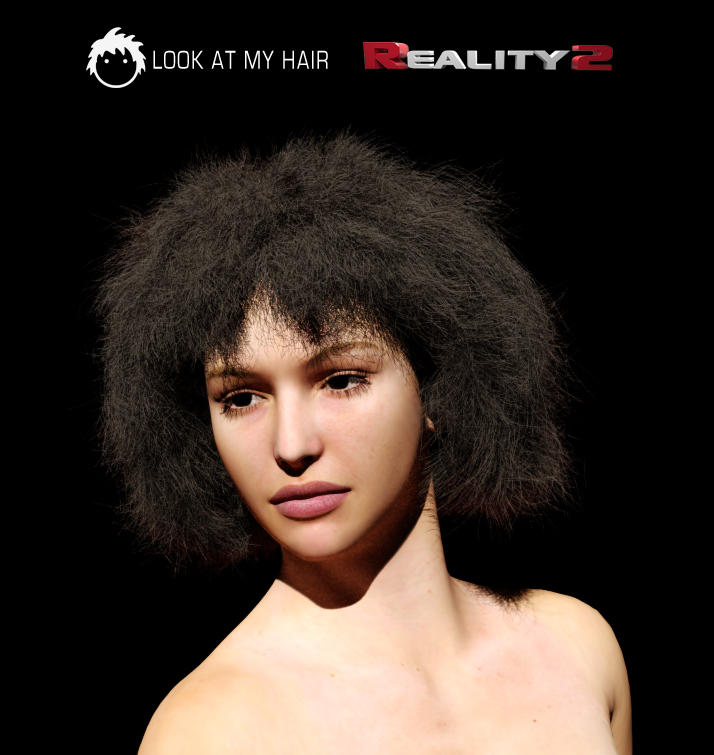 Exported 100,000 hair to Studio, ran Reality and used a Matte Translucent shader for the hair. I stopped the render after 30 minutes. Previous: First set of video tutorials ready! Next: Created in Look at my Hair, rendered in Vue Infinite!